The housing crisis is getting worse, yet last week's Budget contained no new initiatives. There is political paralysis on the issue due to a disagreement within the Coalition. The fundamental dynamics of construction economics are stuck because of a number of factors. Credit access for both potential mortgage holders and builders is still a problem. Add to this the costs of serviced land and the imposition of building regulations and prices rapidly become prohibitive. Recently I chaired the annual conference of the Society of Chartered Surveyors Ireland, representing almost 6,000 property and construction professionals across 11 disciplines. A presentation by Cosgrave Property Group's boss Paul McGrath opened my eyes as to why our housing shortfall will actually get worse and why we need to brace ourselves for more rocketing rents and greater demands for social housing. Cosgrave are among Ireland's longest established (formed in 1979) and largest home-builders and they also operate extensively in the UK. The housing shortage here is well documented, but it is worth pointing out that Dublin needs 7,000 new units per year, 37,500 by the end of 2018 and as many as 54,000 units will be needed by 2021. Put that in a context where total house completions across the entire country were just 8,300 in 2013, 11,000 in 2014 and are set at 11,400 this year. This represents a shortfall of 14,000 annually. Superficial analysis by politicians, bureaucrats and policymakers suggests builders are unable or unwilling to respond to this opportunity. However, the realities are more complex and deep-rooted. The profile of construction firms here contrasts with the UK, where 54pc of output is delivered by the largest 11 builders. These are usually listed PLCs quoted on London's stock exchange, producing in excess of 2,000 units per year. The average firm here, meanwhile, employs 30 people. The first serious impediment is developer finance. Banks are only willing to fund up to 60pc of capital to finance new projects. Equity capital for the remaining 40pc, involving a more long-term repayment cycle, is problematic. Bust builders obviously have credit availability constraints, while those remaining in business may retain land purchased at peak prices so as to make new house developments unaffordable. So sites with planning permission across the Dublin region could be carrying historic site acquisition costs of up to €150,000 per unit. Another dysfunctional feature of the Irish market is the gap between housing needs/requirements and market demand. Despite a lack of supply, house prices have stabilised. Why? Potential buyers remain renters because of unaffordability and mortgage deposit restrictions. This drives rent rates up by 10pc per annum - easily explained when volumes of 5,250 are currently available to let compared to 26,525 in 2009. The Central Bank's first-time buyer mortgage limits mean that a cap of 3.5 times income and a 20pc deposit over €220,000 apply. A couple, both on the national average income of €36,000 can only obtain a loan limit of €252k. If the same couple earned €90k, their mortgage cap is €315,000. This assumes they can raise the 20pc deposit. So, affordability ceilings in Dublin are around €300,000. The core conundrum is that the cost of building a three-bedroom, semi-detached house is €255,000. Here's the breakdown: €103,000 to construct foundations, floors, fabric of roof, walls, fit kitchen, complete electrical & plumbing, plastering and painting; €47,000 for external works of site clearance, drainage, walls, roads and footpaths, utility services, scaffolding, insurance; €45,000 for non-building additional liabilities of local authority levies, Part V contributions, bonds, consultant design fees, finance costs; apply a 15pc profit margin of €30,000; finally add €30,000 for VAT. This budget excludes the site cost. The UK firm Cairn Homes recently brought to market a Dublin scheme called Parkside in Clongriffin at an average sales price of €342,000 - their launch prospectus identifies a site acquisition cost of €125,000 per unit. Based on these costings, construction viability could only be described as marginal. The message is clear: ceilings on mortgage availability, combined with all-inclusive costs reveals a gap in pricing relative to costs which prevents projects getting off the ground. Normal levels of supply and demand are not in harmony due to non-viability, hence we are left with a highly dysfunctional market. 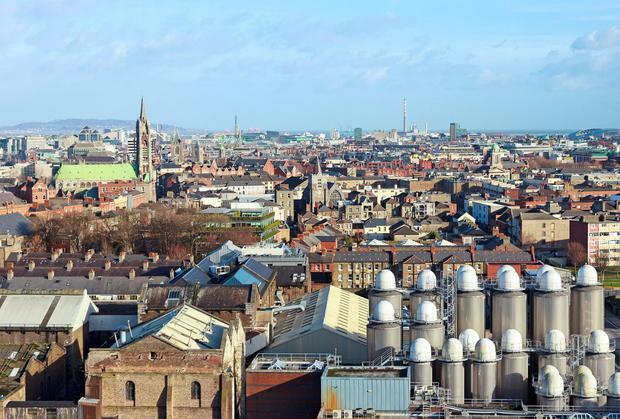 Unrecoverable cost problems are even more exacerbated with apartment developments, due to the onerous specification requirements set out under Dublin City and County Development Plans. These don't relate to fire or safety standards, but rather aesthetic demands that exceed international norms in comparable cities like London, Seattle, San Francisco or New York. The key to resolving the housing shortage in Dublin is unlocking sites with the potential for more than 3,000 homes, such as Cherrywood and Adamstown. Rezoning an industrial estate near Glasnevin Cemetery could provide 10,000 homes, with adjacent public transport links. Delayed roll-out of basic infrastructural requirements of sewerage, water, road access and public transport mean housing development has been delayed, postponed indefinitely or abandoned. Revised (post-recession) models of construction firm finance mean schemes cannot be funded up front by developers. The State must intervene to fund this infrastructure where viability is below the water line by as much as €40,000 per unit. The UK government has established the Large Sites Infrastructure Fund to deliver 250,000 units by 2020. We must identify the strategic sites and schemes that can deliver more than 1,500 units. The Reliance on Nama to procure 20,000 units is asking for a lot. The Government doesn't seem to get the crux of our stuttering house construction output. No wonder solutions are further away than ever. Ivan Yates This country is still enduring the greatest housing crisis since the 1920s. Ivan Yates Ploughing and policing are poles apart. So, the publication of the policing report on the same day that 100,000 decamped the annual agri-fest in windswept Tullamore meant a muted media response.